When you are ready to have a professional take care of your lawn, Brooks Landscaping LLC will tailor a lawn care service package perfect to you and your lawns needs. We know there are many options when looking for a company for your lawn care needs, and thats why we are well-equiped to offer the highest-quality lawn services in Connecticut. When you want your lawn looking healthy and green, without all the work, you want to have our experts handle your lawn! Our lawn care professionals are knowledgable and time-versitile to provide the best service in Woodbury, Middlebury, Watertown, Southbury CT and beyond. As your local lawn care provider, we aim to offer a quality of service that exceed your expectations. If you’re ready to hire us to care for your lawn near Woodbury Connecticut, Brooks Landscaping LLC is ready to help. 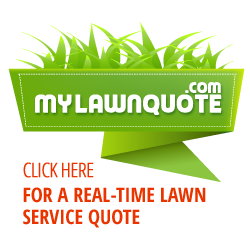 You can even get a free, instant quote for your lawn with us in only a few minutes! Save time and let our professionals take care of your lawn today! Whether you are looking for a traditional or 100% chemical free option for your lawn, we offer both synthetic and organic lawn care services depending on your needs. When taking care of your lawn, we have a wide variety of services to help you achieve the healthy, green lawn you want without all the time. We offer fertilizing, overseeding, aeration, and more!